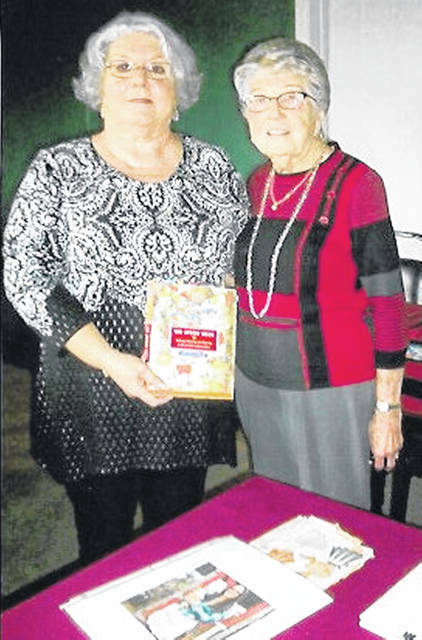 The Hillsboro Woman’s Club met Sept. 11 at the Frog and Club Restaurant at the Hillsboro Elks. Sheila Maggard from Peebles presented a program on aprons with assistance from Catherine Plummer. Club members also brought aprons and spoke about their’s. The club’s next meeting will be held Oct. 9 at the Highland County Senior Citizens Center in Hillsboro. https://www.timesgazette.com/wp-content/uploads/sites/33/2018/09/web1_Womens-Club.jpgThe Hillsboro Woman’s Club met Sept. 11 at the Frog and Club Restaurant at the Hillsboro Elks. Sheila Maggard from Peebles presented a program on aprons with assistance from Catherine Plummer. Club members also brought aprons and spoke about their’s. The club’s next meeting will be held Oct. 9 at the Highland County Senior Citizens Center in Hillsboro.